Harried customers can ease their burden by calling on our team to help with packing and moving needs. The seaside views of Burlingame make it a lovely place to live in, but beautiful views are the last thing on your mind when you are moving. Make your relocation a little less stressful by hiring a professional moving company to deal with the busy streets, multi story walk ups, and occasional rainy weather common to this area. Upline Moving has provided premium services for residential and business customers since 2008. Our movers are well trained, respectful, and friendly. They’ll take good care of your belongings from the start of packing until the last piece is set up in your new home. Whether you are going down the street or moving out of state, our local and long distance moving services are at your disposal. 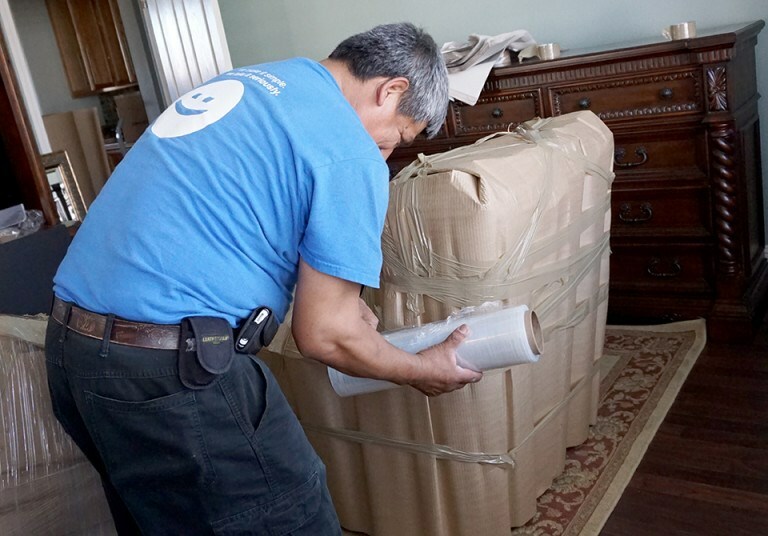 Our residential movers can help you plan for and manage the entire process of your relocation to a new home. They are thoroughly trained to provide gentle handling of your belongings and a stress-free moving experience. In fact, we're so good at what we do that over 70% of previous customers return to Upline Moving for help with future relocations. Are you short on time before your move? Perhaps you just don't feel like packing up? Whatever the reason, our trained packers are available to provide white glove handling of your belongings. We arrive with all of the necessary packing supplies, including eco-friendly boxes, paper, and plastic wrap. You won't have to worry about a thing while our skilled team swiftly and carefully packs up the household. Make your move even easier by taking advantage of our convenient storage solutions. Upline Moving has warehouse facilities located across the United States. Residential customers can keep their extra belongings in a local storage facility until needed, or you can send your belongings to the area where you'll be settling down and store them there until you are ready to receive delivery. We'll do our best to meet all of your storage needs no matter where you plan on living. Upline Moving is a family-owned company with thousands of satisfied customers to our credit. Thanks to a dedication to honesty and careful attention to packing and moving your belongings, we've consistently maintained a 4.5-star Yelp rating for years. We're also highly reviewed on HomeAdvisor and Angie's List. If you are planning on moving soon, consider having our Bay Area movers manage the job. Give us a call or fill out our online form to arrange a complimentary consultation with price estimate for your upcoming relocation today.